Its a good idea to formally say thank you if someone has taken the time to write a letter of recommendation for you. 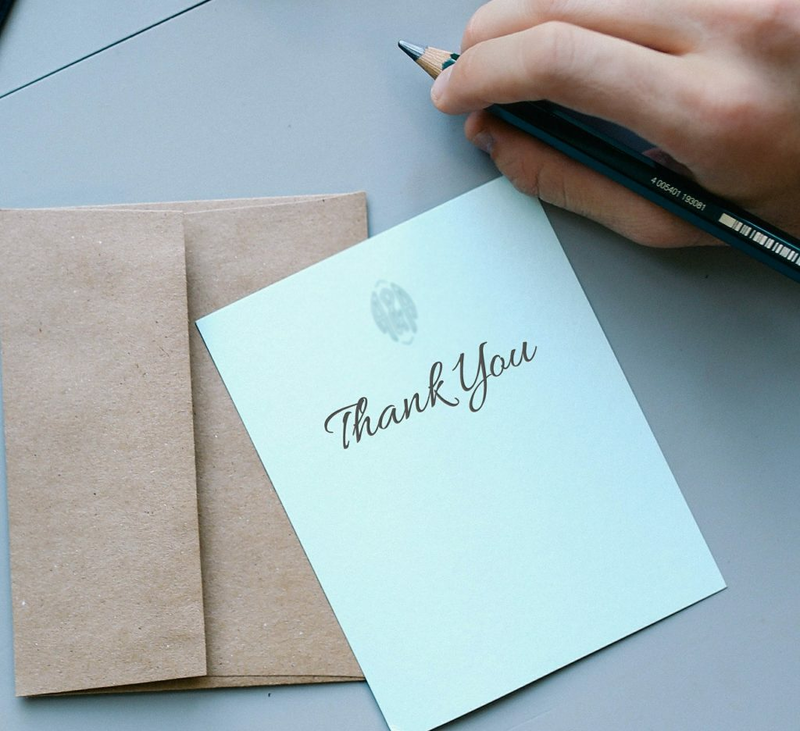 Here, we have a recommendation thank you letter sample that you can use as a template for writing your thank you letter. Be gracious: The purpose of writing this thank you letter is to preserve the relationship you have with this person. If someone has gone out of their way to recommend you for something, this person will probably be able to help you out in some other aspect in the future. Donâ€™t ever burn bridges. Keep them pristine. Having a strong network is the best way to make progress in your professional life. Keep your network strong by showing how appreciative you are. Offer something in return: Chances are good that you probably have less to offer than the person who has recommended you. But, consider making some sort of gesture in your thank you letter. Everyone has some way to offer value. Even if its just to buy lunch some day, some sort of reciprocal gesture will make your gratitude seem sincere. Donâ€™t write a novel: People are busy. This person has already taken the time to write you a recommendation, donâ€™t eat up another hour with a four page essay on how grateful you are. Keep your letter to the point, and youâ€™ll get your point across much better. This goes for most types of professional correspondence. Here is an example of a well worded thank you letter. You can use this as a template for writing your own. I want to thank you for taking the time out of your (undoubtedly) busy schedule to write a letter of recommendation for me. The letter seems to have been very well received as I have already been offered positions at several companies that were very high on my wish list. Youâ€™ve been so kind to me. I know it is your job to teach and guide our young minds, but Iâ€™ve yet to encounter a professor who works as hard to make a positive impact on the lives of his students. You give the profession a good name, and I consider myself very lucky to have been a part of your class room. I plan to have all the interviews before making the final decision on where I decide to work. Luckily, youâ€™ve already given me so much good advice, I know that Iâ€™ll make the right choice. It has been an unparalleled pleasure and honor having you as my teacher and mentor. I treasure all the knowledge and wisdom you have shared with me and I truly appreciate the time, effort and sincerity you have devoted in writing a letter on my behalf. I will keep you posted about my progress, and where I eventually decide to work. In the mean time, please let me know if there is anything I can do to help you out with your courses. Iâ€™ll still be in the Boston area for at least the rest of the fall, and Iâ€™d love to help you out in some way if possible. If you want to, you can always spice up your recommendation thank you note with an appropriate quote. Though it is far from needed.